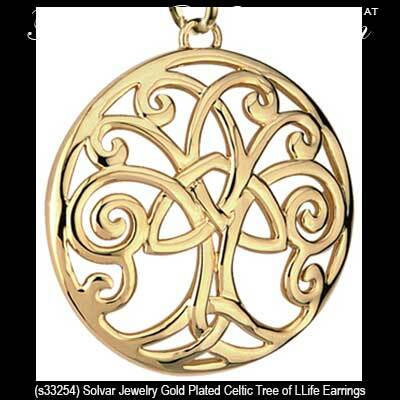 These gold plated tree of life earrings feature a Trinity knot in the center of the design. 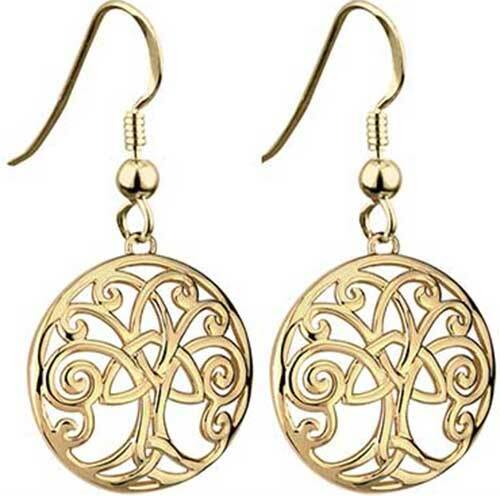 These gold plated tree of life earrings are accented with Trinity knots along with Celtic spiral leaves. 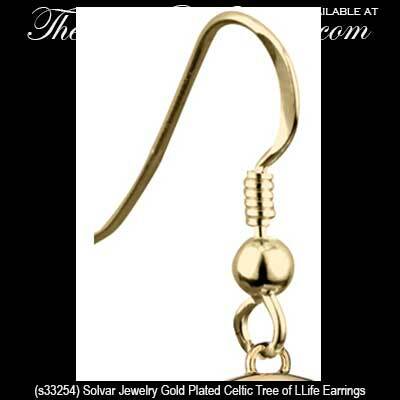 The tree of life drop earrings have a dapped or dome shape and measures 5/8” wide x 1 1/2” tall, to the top of the fishhook wires.